The initial amendment, proposed on Aug. 11, would bar residents from playing music or making noise after 10 p.m. on all days of the week, cutting the current Friday-Saturday midnight by two hours. Hundreds of students gathered to express outrage at a meeting on Aug. 16, and the amendment, originally put on the ballot for a countywide vote on Sep. 12, was moved off the agenda to allow time for further community discussion. With the initial outrage extinguished, students and community members, with the help of IV Community Advisor Diana Collins Puente and Lieutenant Ruben Cintron, worked to pinpoint the cause of noise itself and how that noise may be perceived differently by each resident. In order to demonstrate this, Puente handed attendees sticker sheets, and encouraged them to place color-coded stickers, representing noise level and residence, on a city wide map. Red stickers, representing high noise levels, congregated predictably along the 65 and 66 blocks of Del Playa and Sabado Tarde, with several outliers on the 66 blocks of Segovia and Picasso. Green stickers were more prevalent along the 68 blocks and El Colegio. However, the map revealed through a numbered 1-5 scale that noise level does not necessarily correlate with a resident’s level of happiness. 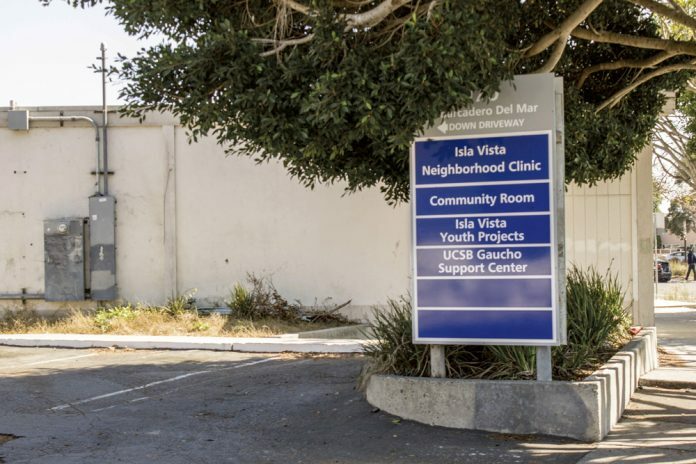 Longtime Isla Vista resident Bruce Murdoch, who attended the meeting with his wife Bonnie, highlighted a further layer of complication. Community members also agreed when Bruce Murdoch noted the fluctuation in noise from year to year, citing the difference between neighbors throughout the decades. For many UCSB students still eager to preserve and promote a healthy party culture, it became clear that the line between partying and keeping IV residents content is far thinner than many initially realized. At the meeting’s end, Bonnie Murdoch described the encounter she had with her neighbors last Friday, who came to her door with jam and handed her phone numbers, letting her know to call if things ever got too loud. That night at 12:30, Murdoch called twice, but with no success. The next meeting to discuss noise ordinance enforcement will be held September 29.